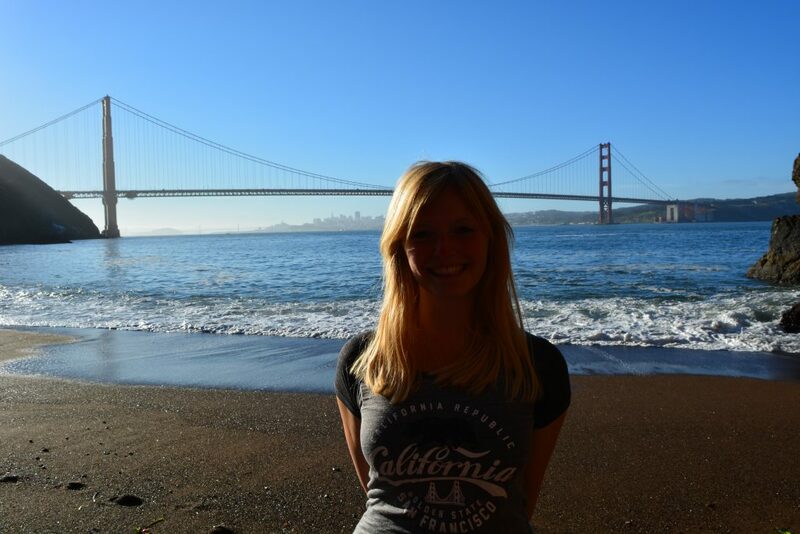 Kirby Cove, San Francisco area - Go on adventures! 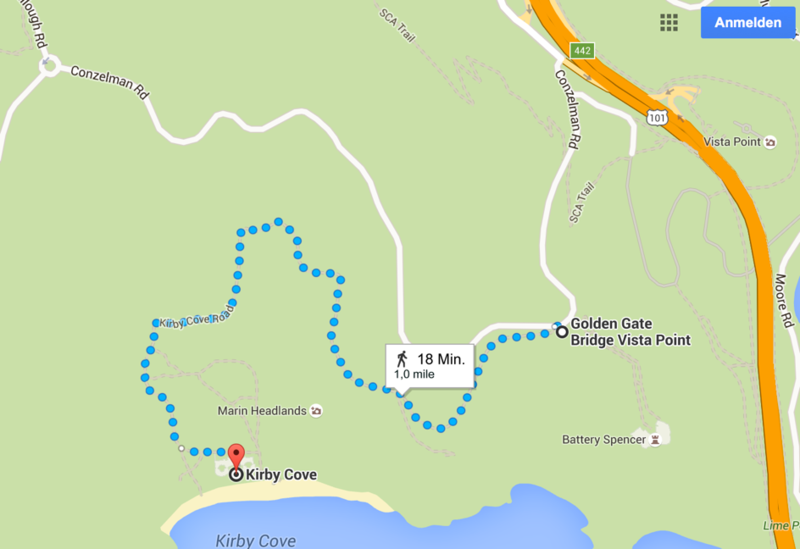 So what is Kirby Cove and why should you go there?! Don´ forget to hop up the swing!! (I had to seach for it after I read something about it online 😉 It is located on the left side of the beach! Don´ miss it out – it is sooooo much fun! What time should I visit Kirby Cove? It depends on what you would like to see. I would suggest the sunrise time – that´ what I did. And I really enjoyed it. But the Con is definetly, that you will not have a direct view of the sun going up over the water. 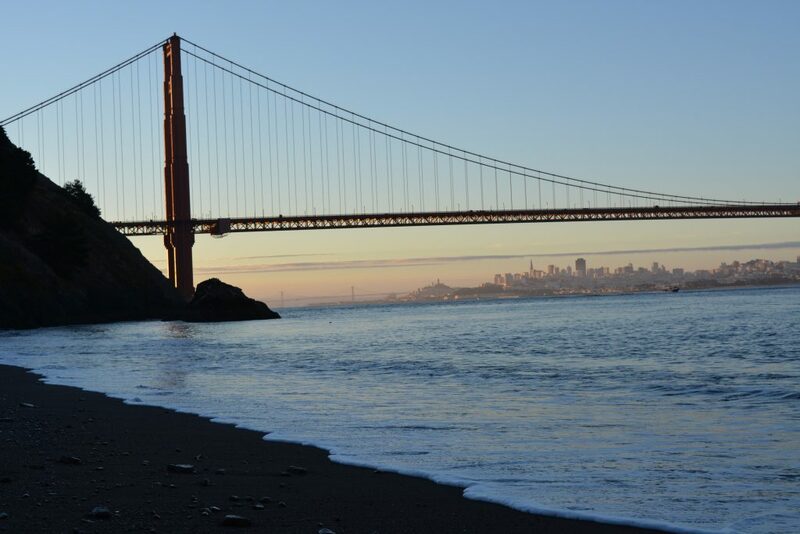 The hill, where the Golden Gate Bridge starts is “in the way” of a direct sunrise – but it´ still absolutely beautiful to go there by this time. There was only one more couple, when we went. The campground was still sleeping – so this is the opportunity for great pictures! 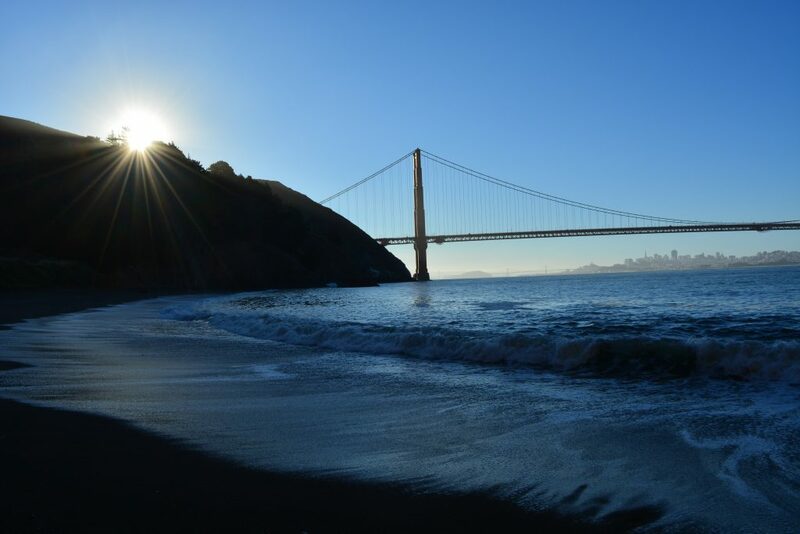 I would also consider to go back to this place in the evening – I can imagine that it must look stunning to see the Golden Gate Bridge painted into red light and to take those pictures of it – the sun should be shining on it directly from this point of view. Should be lovely! 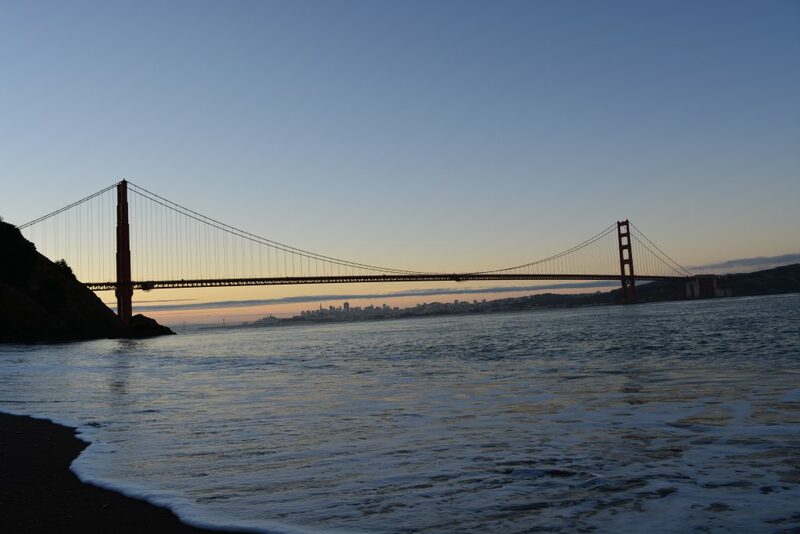 You can easily park your car at the Golden Gate Bridge Vista Point. Instead of hiking down to the Batter Spencer Point you take it left to follow the trail down to Kirby Cove. You will walk through the campground – so be quiet and respectful of the sleeping people there for sure! I even saw some deers in the morning hours walking around the campground – so peaceful and quiet, just a few minutes drive outside of San Francisco! The hike to the beach is about 1 mile down the hill. Do not go too late, if you do want to see those beautiful colors, when the sun is starting to make the way up. Last but not least comes the best part. THIS made Kirby Cove the perfect spot for me 😉 There is a SWING! 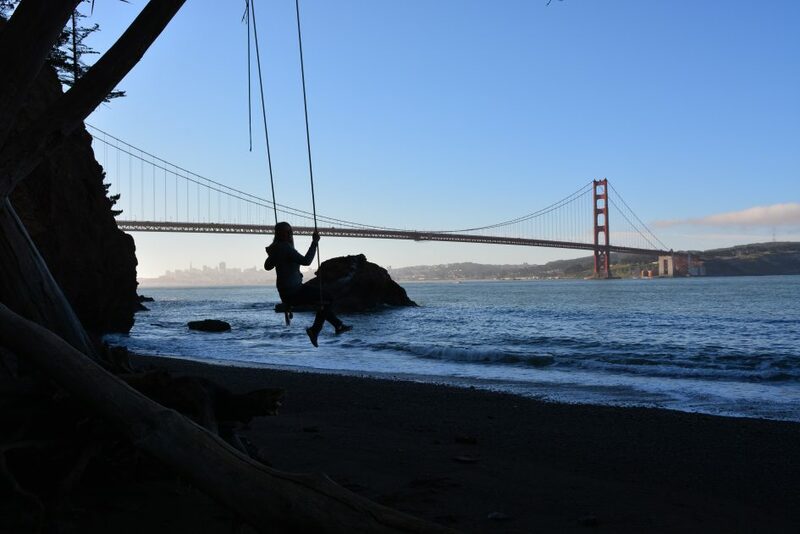 You can climb on it & swing, while watching the Golden Gate Bridge – how amazing is that?